You’ve always taken care of your child’s smile. You make sure thorough brushing and flossing take place twice a day. You serve foods high in vitamins and minerals and low in sugar. You make and keep regular dental appointments at our St. Petersburg, Florida office. But even with the best dental routines, sometimes conditions can occur that will require additional professional care. One of these conditions can affect your child’s enamel while the tooth is still forming. When baby teeth or adult teeth appear, you might notice white, creamy yellow, or brown spots in otherwise healthy-looking enamel. These spots are softer and rougher than normal hard, smooth enamel. Because of their texture and color, such teeth are often referred to as “chalky teeth,” but this condition is actually known as enamel hypomineralization. Enamel is the strongest substance in our bodies—stronger even than bones. Enamel is largely composed of minerals. If something disrupts the process of enamel development in baby or adult teeth, the result can be abnormally low mineral content in the enamel. This leaves teeth weaker and more likely to suffer decay and damage. Premature birth, low birth weight, and other pre-natal factors have been suggested as risk factors for hypomineralization in primary teeth enamel. Permanent teeth can be vulnerable to this condition as well. Adult teeth are forming in young children well before they make an appearance. It’s been suggested that certain early childhood factors, such as recurring high fevers, some diseases, even specific antibiotics, can interrupt the formation of the enamel and lead to hypomineralization of adult teeth. What are the results of enamel hypomineralization? Children with this condition are much more likely to experience rapid tooth decay because of their weaker, more porous enamel, especially in the molars. Further, they tend not to respond as well to the numbing effects of local dental anesthetics, while their teeth tend to be more sensitive to pain. Cases can be mild, moderate, or severe. In severe cases, teeth might require crowns or possibly extractions, but even mild discoloration and other cosmetic problems can lead to self-consciousness in your child. Catching this condition early is very important. If your child has had any medical conditions that might affect tooth development, let Jeffery Spilman know even before that first tooth comes in. If you notice anything unusual about a new baby or adult tooth, give us a call. For primary or permanent teeth, the sooner we can begin treatment, the better the long-term outlook. We might suggest fluoride applications or desensitizing treatments. We can apply sealants to reduce the risk of cavities, and use bonding to restore discolored or weak patches in the tooth. Both of these methods have greater success if the enamel near the affected area is in good condition, so early treatment is vital. If teeth require more protection, crowns are often the best choice. We will design a treatment program to suit your child’s individual needs now and for the future. Dental hygiene is important for every child, but especially for a child with weak and porous enamel. 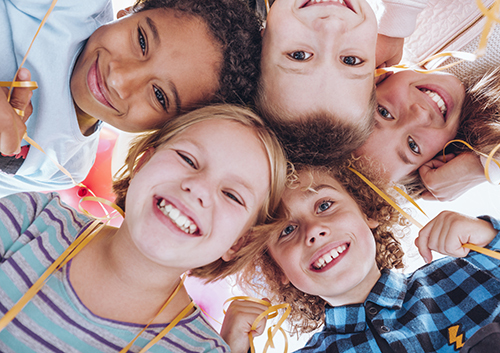 Because children with hypomineralized enamel develop cavities more quickly that those with strong enamel, it is very important to watch your child’s diet and keep to a regular, careful, and thorough routine of brushing and flossing at home. Be attentive to any sensitivity problems, and be sure to follow any suggestions we might have for strengthening enamel. Remember, early diagnosis and treatment is always best! If at any time you notice chalky patches, or have any other concerns about the appearance of your child’s teeth, if they seem to be causing your child pain or are unusually sensitive, call Jeffery Spilman immediately. We want to work with you to treat any current problems and to prevent new ones.